This film had broad international production support including several European countries. Filmed and storied out of Tunisia it's message has broad application to all countries where power and authority bullies & threatens individual rights even so far as terrorizing their citizens. We have institutionalized political & religious brutality in this film as a female college student attending a school party encounters the police. Her quest for justice is hampered by being a liberal female in a conservative country. Kafkaesque, but is there still hope? Despite the verbal/physical battering by police her resoluteness grows, but again perhaps too late. 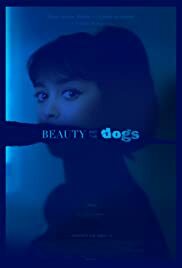 Intelligently written & directed, but it's the acting (often non-verbal) by Mariam Al Ferjan that engages & captures your attention, and worthy of an award.